The Pixel 3 XL and Pixel 3. The backs are all glass with a soft touch coating. The top of the Pixel 3. You can make out the dual front cameras and the speaker. The Pixel 3 XL. This notch can be seen from outer space. The bottom bezels are exactly the same size. This is a Pixel 2 XL next to a Pixel 3 XL. Other than that notch, the front hasn’t changed much. The Pixel 3 in hand. It’s almost tiny. The back of the Pixel 3 in hand. This unit is also scratched or scuffed at the bottom. The glossy to matte transition. You can also make out the fingerprint reader and camera here. The bottom has a USB-C port, SIM tray, and no headphone jack. Google’s call screening feature was neat; just press the Google Assistant button. This isn’t Duplex; the Assistant just plays a few canned messages. 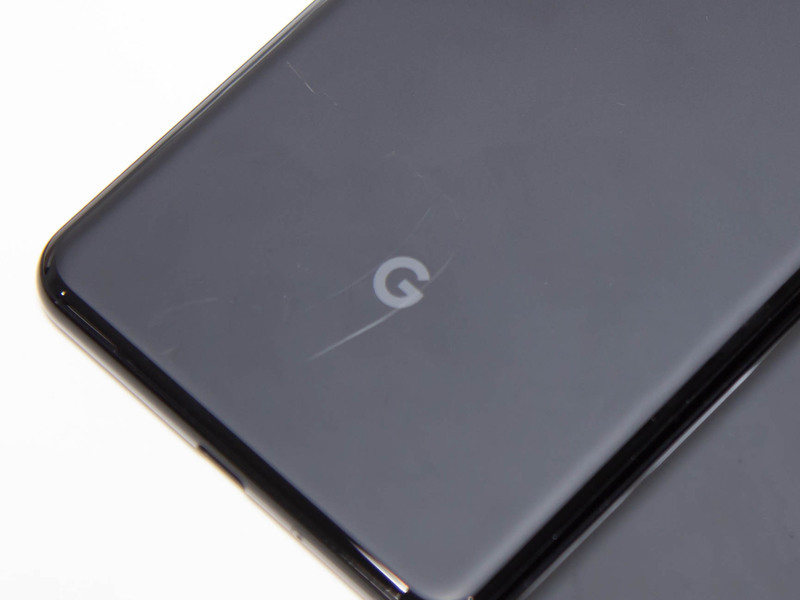 NEW YORK—After an almost endless number of leaks, the Pixel 3 and Pixel 3 XL have finally been unleashed. After scavenging the show floor for info and some experience with the new handsets, we’re back to talk impressions. The first thing you notice when you pick up either Pixel 3 is the back texture. The Pixel phones have traditionally had a two-tone look, accomplished in the past by a mostly metal back with a glass top. This year the back is all glass, but the two-tone look remains thanks to two different treatments to the glass. The top is bare, shiny glass and a fingerprint magnet, while the rest of the phone has a soft-touch, satin-like matte coating. The coating feels great, but it doesn’t seem very durable. There were already visible scratches on both of the demo units I photographed, which you can see, and it’s easy to damage the back with something as mundane as a USB-C cable. Both of the demo phones I photographed at the show already had several scratches on them. Harsh camera lighting is pretty much the worst-case scenario for finding scratches, but I’ve never seen demo units this beat up before at a launch. I was disappointed by the change from metal to glass, but this is a double whammy: all the fragility of glass with none of the scratch-resistant hardness. The coating on the back stops before it hits the edges of the phone. Since the matte coating feels so nice, I immediately wanted it to coat the sides of the phone, too, but I wonder if this was cut for durability concerns. The phone has a glass sandwich construction, with a glass panel on the top and bottom and a band of material in between. Google tells me the side material is aluminum, but it has some kind of coating on it that gives it a glossy finish and attracts fingerprints. I’m sad to say the front design is just as disappointing in real life as it is in pictures. Google has turned in two phones that just aren’t up to the 2018 competition. The Pixel 3 XL follows the notch display trend, but Google has the biggest notch in the industry. The cutout extends so far into the display that it doesn’t fit inside a normal Android status bar, so the bar is twice as tall as normal, which looks ridiculous. The width of the notch means you only get to see three notification icons on the screen before you run out of space. Combined with the 3 XL’s sizable bottom bezel, I don’t think there’s a single 2018 phone in the Pixel 3’s price range you can point to and call a worse design. Google is pretty much at the back of the pack here. Enlarge / A new phone should not be this beat up. This did not rub out. The Pixel 3 isn’t any better. It has top and bottom bezels that are bigger than pretty much any other 2018 smartphone in its class. At least it’s not as ugly as the Pixel 3 XL; it’s just dated and doesn’t feel like a 2018 flagship design. The justification for both of these compromised front designs comes from two features: the dual front-camera system and the dual front-facing speakers, so they had better be fantastic. I’ll have to try the speakers somewhere quieter than at a large event, but Google claims they are 40 percent louder than the Pixel 2’s speakers. That’s a good sign, because, despite how they looked on paper, the Pixel 2’s “front-facing speakers” were not any better than the more space-efficient earpiece and bottom speaker combos on devices like the iPhone. The camera system is another thing that will have to wait for the review. The dual-camera front system can switch between a wide angle and a normal camera lens, allowing it to “zoom out” and have a better view of a group of friends or a selfie with something in the background. I have some disappointment that Google hasn’t built any kind of face unlock system, despite carving out a big chunk of the front for extra sensors. On the software side of things, the Pixel 3 is running Android 9 Pie, so there are not a ton of changes. The biggest change is that gesture navigation is now mandatory—it’s on by default and you can’t turn it off. It’s a very strange decision considering it was almost universally panned online throughout the entire beta process and during the release. Google doesn’t seem to care about the feedback in this case. The sunrise alarm mimics the colors of a sunrise, and changes over time. The music player is just a really big Android notification, so it works with everything. Ring a Nest doorbell, get a video feed. A lot of demos at the event centered around the $ 79 Pixel Stand, a new wireless charging accessory that kicks the phone over into an ambient display mode. Stick the phone into the stand, let the display time out, and the new mode will start. It would be really neat if the phone started up the Google Home Smart Display software, but instead it’s more like the regular Android lock screen with a few extra features. A photo frame mode can take over while the phone is idle and show your Google Photos. If you set an alarm, you’ll get this cool sunrise effect on the screen as the alarm time approaches. If someone rings your Next camera doorbell, your phone will show a camera feed. When playing music, you’ll get album art and music controls. (Since this feature works off of Android media notifications, it should work for every media app.) If none of these things are happening, you get the black Android lock screen with a new Google Assistant logo and a suggested search at the bottom. The stand charges wirelessly at 10 watts. This is going to be slower than the 18-watt wired charger the Pixel 3 comes with but is still respectable. The phone still responds to “OK Google,” but it always did that even without the stand. There’s a sizable hotword performance gap between a plugged-in Google Home and a battery-powered Android phone, just because of the battery-saving techniques in a smartphone. I’ll have to see if the Pixel 3 closes that gap when it has the unlimited power of a charging stand. I don’t think anyone can call the base Pixel 3 hardware package a good starting point, but Google can still offer some unique features through software. Unfortunately for this article, that means a lot of features that don’t demo well in under five minutes at a launch event. I’m sure the camera is great and has about a million features on the front and back. Google talked a huge game with “Night Sight” by showing it demolishing an iPhone XS in a photo comparison, but that feature isn’t ready yet. The Pixel Stand sounds like a potentially useful feature. The display needs to be put through its paces. Like in previous years, it looks like the Pixel 3 will be all about software, but can that software make up for the not-great hardware design? Oh, and there’s still no headphone jack.